I would hate to be pitted against a draka AI, that's for sure. So, it's that time again. Not sure which faction to play as in Victoria II. Does Victoria 2 come with an Old Save Bonus option for EU 3? Anyone who assigns themselves loads of character tropes is someone to be worried about. It's hard to tell, what is your strategy usually? I'm fairly sure it has one for HOI 3. If there's an old save bonus for EU 3 it'd be in one of the expansions, but there are some pretty decent ones online. Or there would be, it takes a while for them to come out. It's not over. Not yet. Don't really HAVE a strategy, it just feels like I'm missing something all the time. 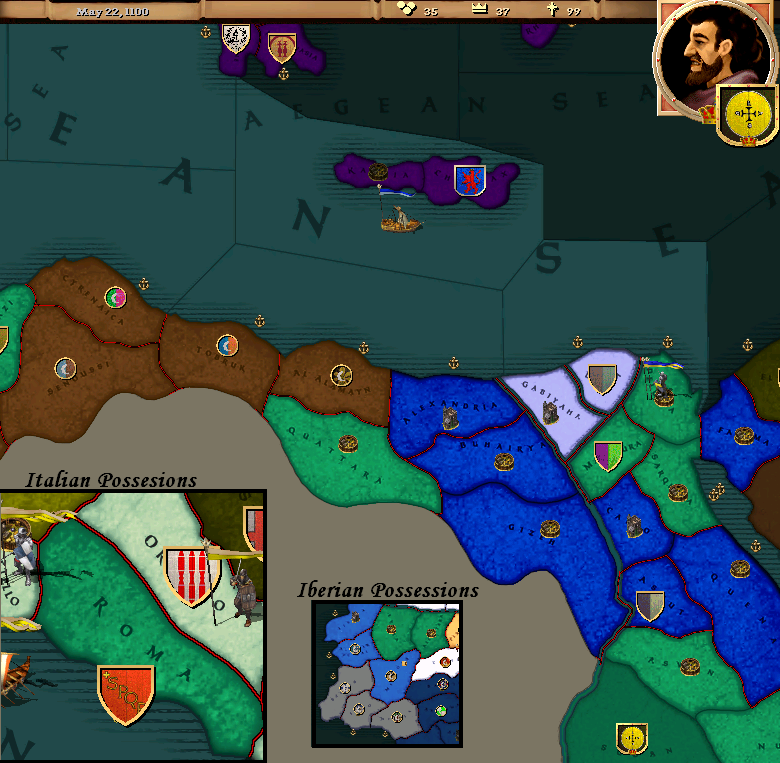 Like, one time I played Castille and managed to get two provinces out of Granada (for the Reconquest mission) and then took a tiny bite out of Morocco so I can sue for peace. Then I had no more manpower left and no idea what to do next. Feels like I did something wrong. You could change one of your advisors if there is a sergeant-major general (I think that's the name) available. That will give you a boost in manpower. There is no "wrong" way to play the game, history will right itself eventually. Also, never used mercenaries. I don't really know the difference between them and regular soldiers. Do they have lower morale? More maintenance? I honestly tried to read the manual but 1. I can't read long PD Fs without getting all watery-eyed and 2. I'm playing HTTT, so I kinda need to read four manuals and I have better ways of spending my Saturdays. It's not a race against the clock. If you think like that you'll just end up in an endless series of badboy wars. Those ten years? Build up your industry. I guarantee you, a strong industrial base is a lot better in the long run than a large military. Build up your army in peacetime. Keep maintenance costs low unless you're preparing for war or expecting one. That should let your manpower recover faster. Try not to assault forts a lot. And try not to let attrition whittle down your armies. If your maintenance is still quite high, keep in mind that you can afford to lose money monthly in most cases. Failing that, mint, but minting will cause problems for you in the long run until you take preventive measures like tax assessors and hiring Masters of Mint. I was just playing as Argentina and took southern Chile. Managed to gain reactionaries and outlawed democracy and legalised slavery again. I like the one-party state thing too. Now, that's playing like an evil dictator. Forgot about certain requirements though. Some resources aren't usable until you unlock certain technologies - hence my economy was complete rubbish. After that I decided to give Prussia a go. Everything was going well, and I took some territory from Denmark. Then I did something stupid and ignored the infamy penalty. World War I, 70 years too early. In Europa Universalis you can afford to play the waiting game, you've got hundreds of years. Apparently it's possible for Israel to form Germany. 3 days until Divine Wind! Well, I was playing Vicky II as Prussia. I managed to get the North German Confederation, but the German Empire states were a bit of hard work - I had to go to war with Austria, and in the end they had better mobilisation than I. Instead, I went for the "gutter" option, claiming Germany (minus Bavaria and Wuttemburg) whilst gaining 15 infamy. Ouch. Not a good option since I annexed Luxembourg without reason a few months before. So, the whole world declared war to contain me in 1900. First, Austria-Hungary. Despite brave rebellions across Germany, and an expedition to capture Vienna, Germany's mainland provinces fell - as did Iceland and Greenland. However, German Africa is a massive territory dominating Botswana, Angola, and Pretoria. It turned into a game of survivalism. Through nomadic armies, I can hold onto just enough territory to survive. They have to keep fighting my resistance. As of now, I have Malanje province with soldiers dug in, and an adequate garrison on Faroe Island. Amusing how it can still function at all. Update: It was a thorough success. I managed to get White Peace out of everyone, and Germany is rebuilding its industry and army very quickly. The Sultanate of Rüm, 1458. After my only war of aggression against the Mamluks, I went to war with them again, using the Obscure Documents CB to drag them into a PU. Since MEIOU makes provinces defect much faster than vanilla, I tend to overextend more. I decided to released Egypt (different from the Mamluks, mind you) as a vassal to alleviate this. I like the way you've approached that. Vassalise rather than deal with rebels. How many vassals do you have now? Two Three Four vassals, and three PUs. Keeping your vassals/junior PU members weaker than you is the key. Plus, they provide good satellite troops. When I do vassalise, it's as an alternative to having to conquer them. plus they provide a bit of backup. I rarely use vassals inside my borders. They're more like buffer states, used to guard the outer edges of an empire. Islands are good for vassalisation too, since they can be awkward to keep track of. Vassals are the most reliable allies, ever. Looks like Divine Wind is going to have 4 advisor slots instead of 3. A much welcomed change, but I suppose several mods addressed that anyway. I'm so psyched for this. You can't have more than one of each type, though.